Magnus is feeling the strain as the SHADOWHUNTERS characters track Heidi in “To The Night Children”! Looks like the drama between Clary and Jonathan is over… for now. 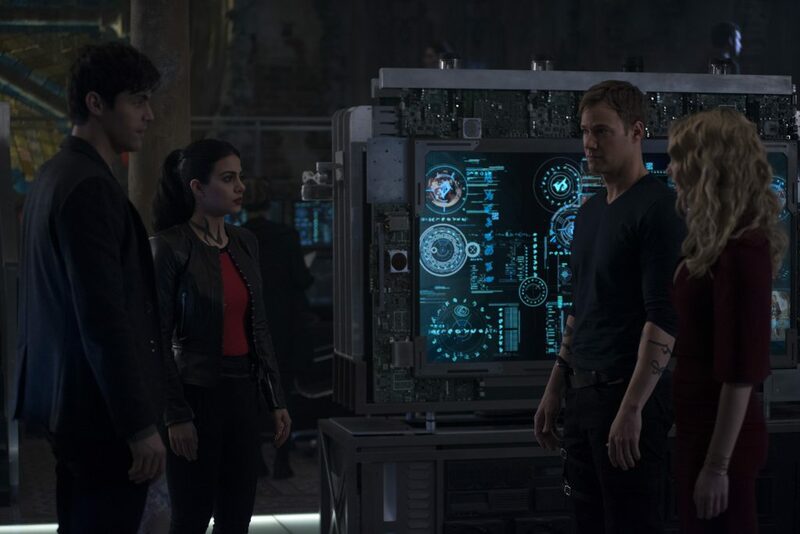 Next week’s Shadowhunters episode will be changing direction as our protagonists focus on stopping a rogue vampire. Remember Heidi? The young mudane-turned vampire girl who was obsessed with Simon? Well she’s back and causing trouble once again. This certainly does not bode well for the truce that had existed between the vampires and wolves. Poor Luke is feeling the brunt of this clash after being arrested at the scene of the Jade Wolf massacre and hopefully we’ll get some nice Luke-centered scenes next week. Meanwhile, Magnus and Alec are dealing with the repercussions of his deal with Lorenzo and they are major. Next week’s episode will sure to be another action-packed one so stay with us as we’ll be watching with our popcorn in hand!